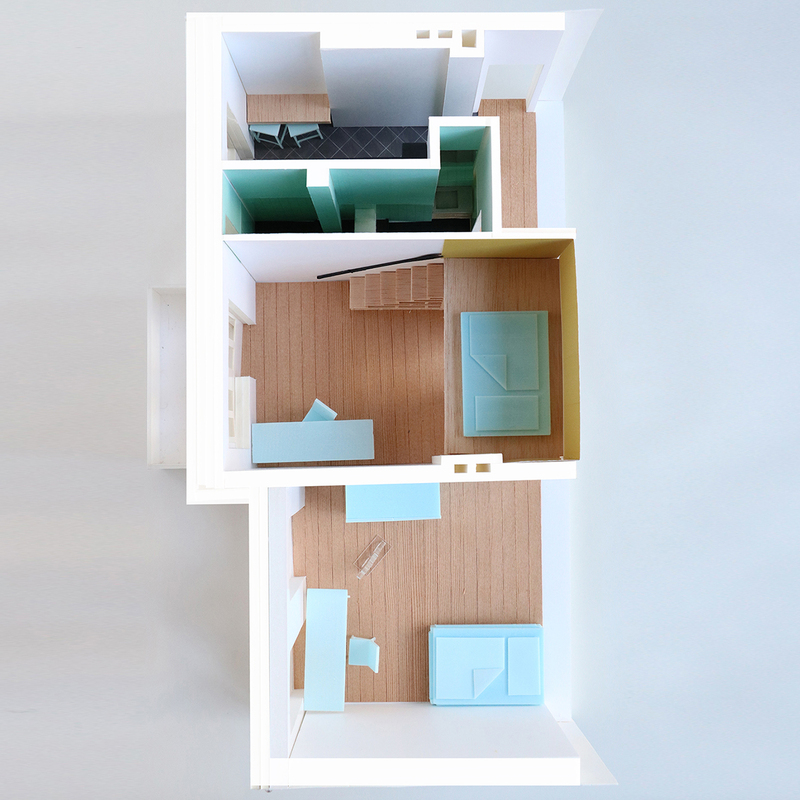 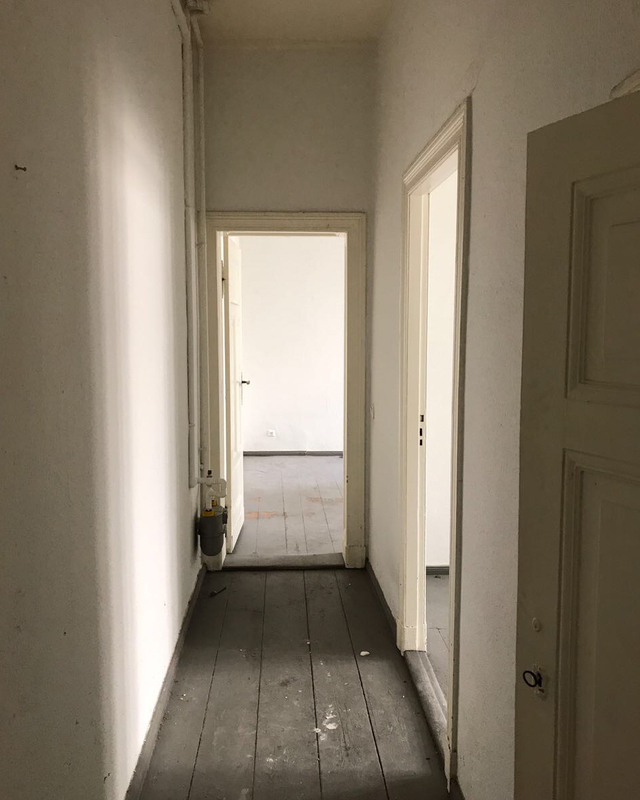 This is the first flat of a young student. 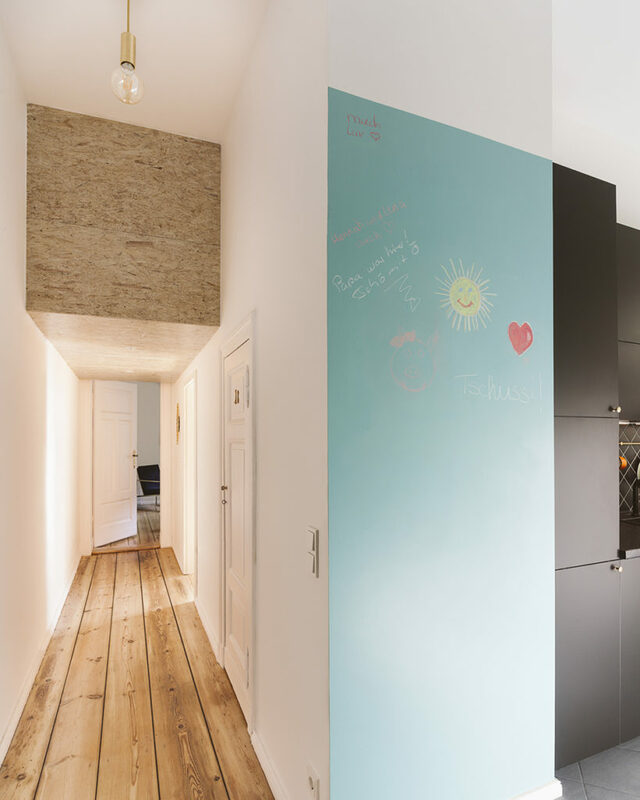 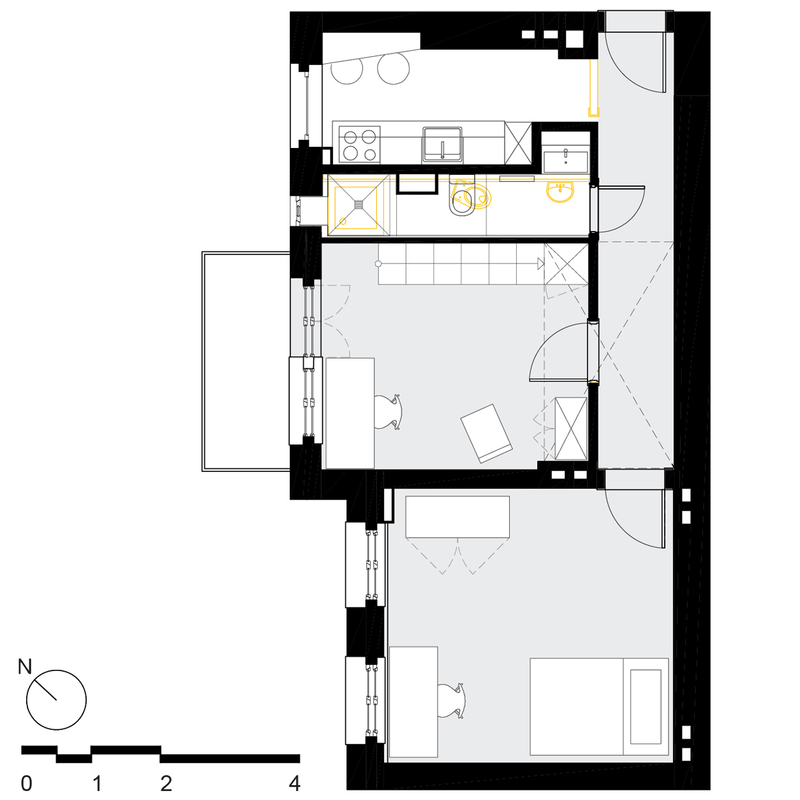 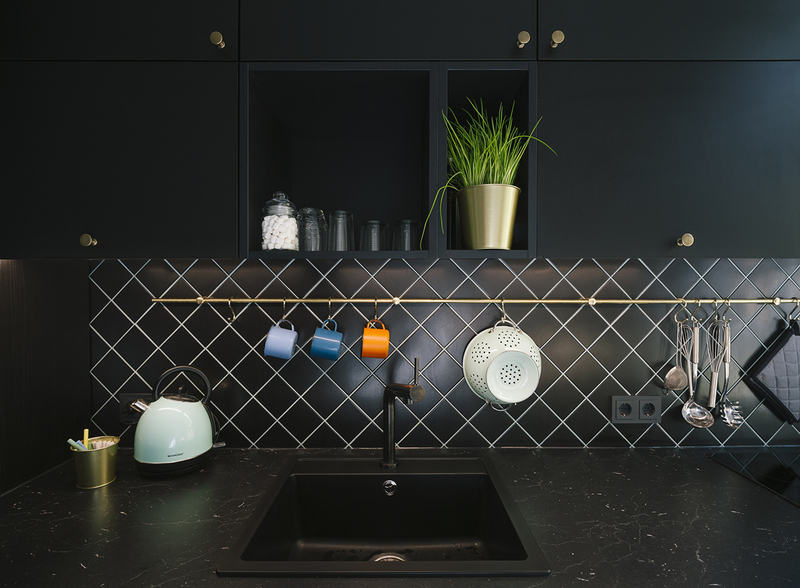 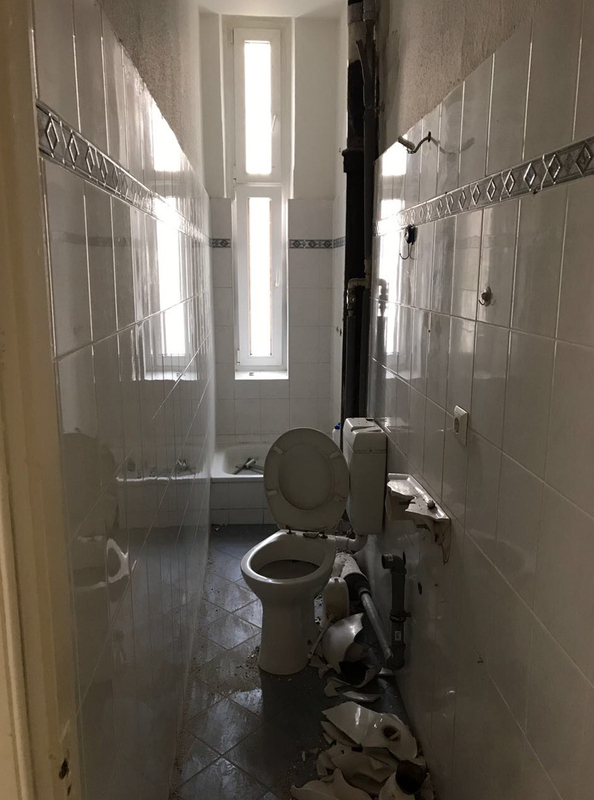 With a small budget the old Gründerzeit apartment with dark hallway and very narrow bathroom was transformed into a modern home that radiates a good mood. 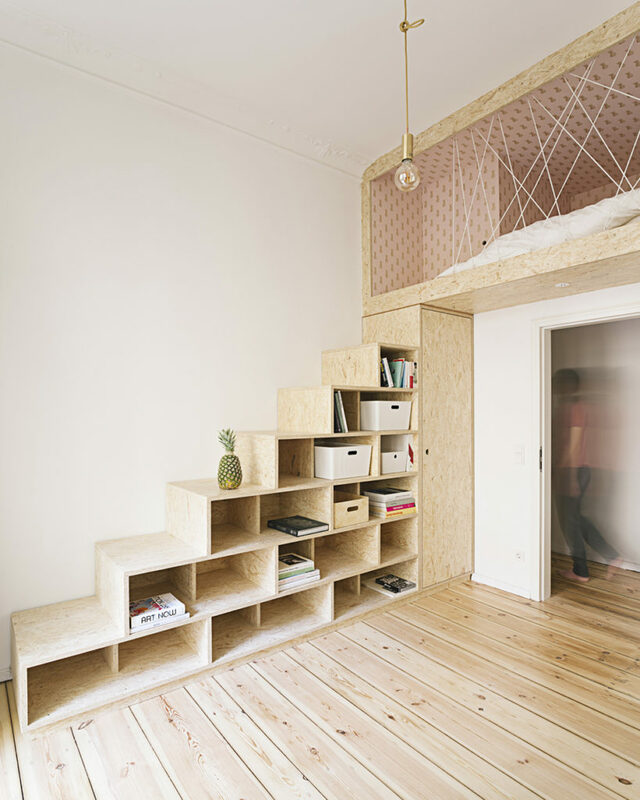 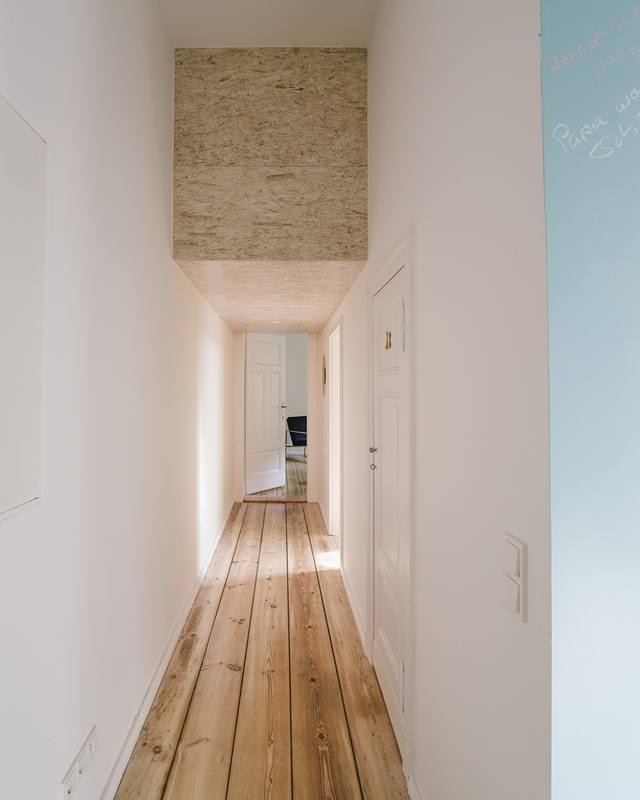 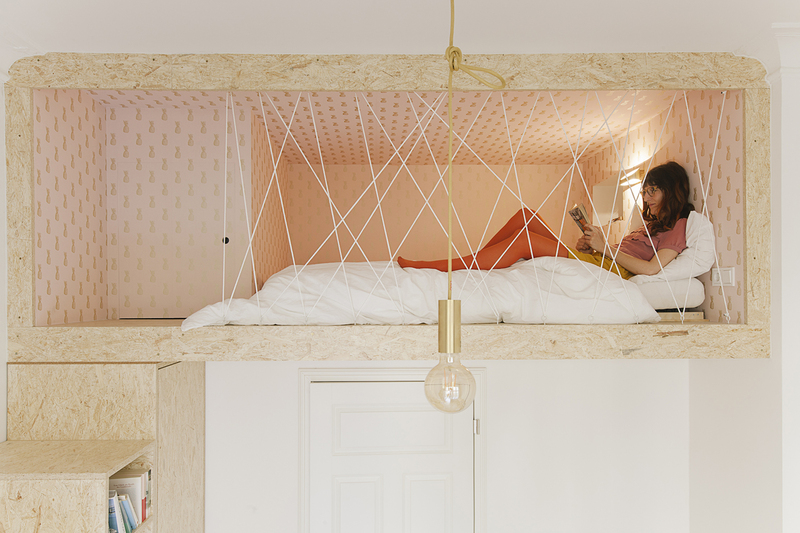 A stair-plus-storage leads up to the new sleeping loft made from OSB, which floats above the hallway. 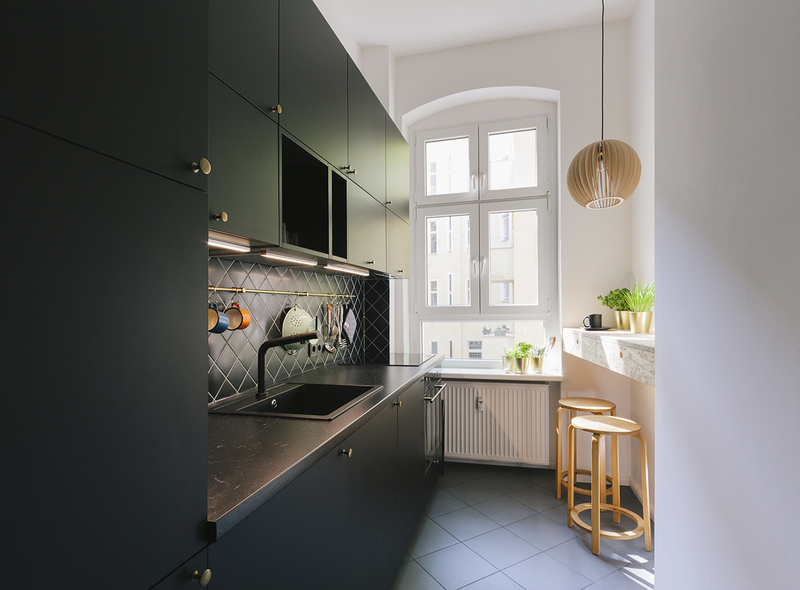 The new layout of kitchen and bathroom is customized to the needs of the new resident and saves precious space. 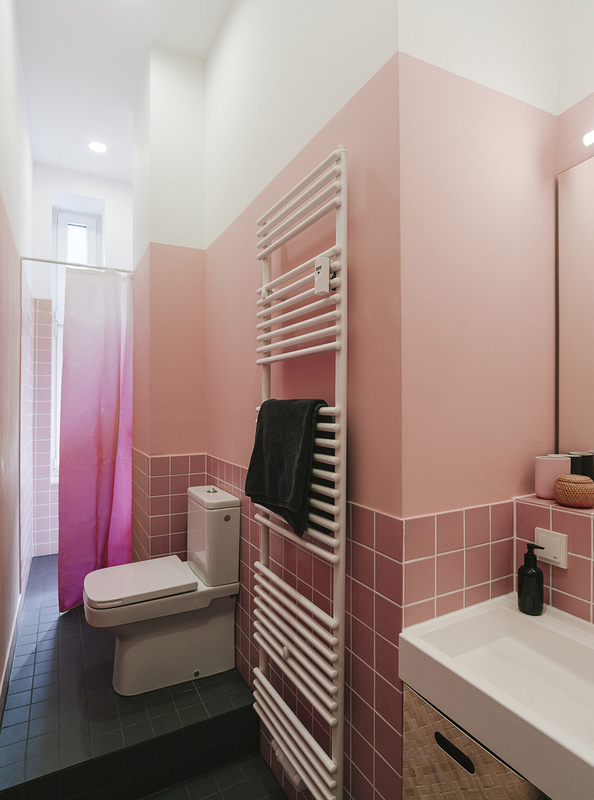 Her favourite colours pink, turquoise, black and gold emphasize the spatial features, while the historic elements of the apartment such as stucco ornaments and plank flooring were preserved.